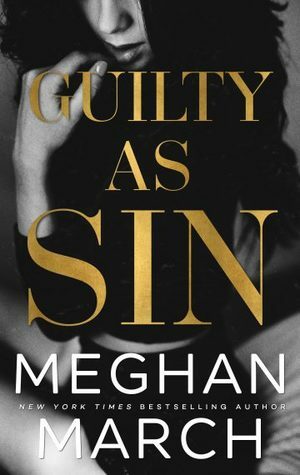 Guilty As Sin is the second installment in the Sin series by Meghan March. It picks up right where Richer Than Sin ends. Honestly, I was dying to read this second book, but at the same time, I almost wanted to drag it out. These books are so addicting that I don't want them to end! The bomb that was dropped at the end of RTS had me reeling and truthfully, it still does! To say Guilty As Sin is explosive is an understatement. 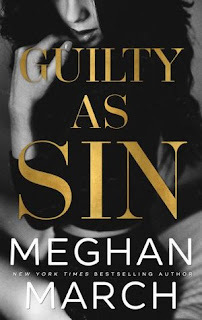 The one thing I love most about Meghan March is her ability to mix drama, angst, sexiness and sweetness all into one book. I love Lincoln and Whitney's characters and the things you discover in book 2 will cement that even more for you. Guilty As Sin, was everything I expected and way more. I am still trying to get over the ending. If you don't know by now that Meghan March is the absolute Queen of Cliffhangers, you better strap in, this book is a roller coaster ride for sure. I cannot wait to see how their story concludes and see if a Riscoff and a Gable can finally be together despite everyones best efforts to keep them apart.